Brooks Custom's Premium Wide Plank wood countertops are known for their even tone and grain patterns, and are a warm addition to a traditional kitchen. 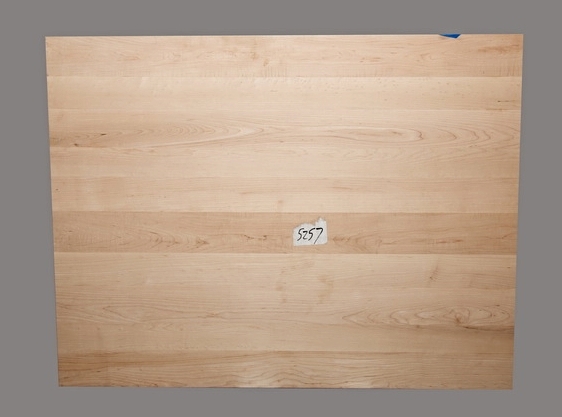 Our sale top inventory gives you the opportunity to get a high-quality countertop at a great value. Most of the tops are unfinished, unless noted otherwise. You may finish them yourselves as part of a DIY project, or they can be finished in our shop for an extra charge. For no additional charge, we will cut down your countertop to your preferred dimensions. For any other customization, please contact us for a quote.